The world’s second tallest building, Shanghai Tower, will soon open in the Chinese financial capital with a twist — a 120-degree twist, to be exact. A softened triangular “outer skin” is literally twisted around a circular core, sending the glass and steel tower spiralling 632 metres (2,073.4 Ft) into the grey sky above the city. State-backed developer Shanghai Tower Construction and Development Co views the modern design as a symbol of China’s future, a super-tall building in the city’s gleaming Pudong financial district, which did not even exist 25 years ago. People involved with the project said the building will open this summer, with office tenants moving in first, but the developer declined to comment. “This twist is an iconic symbol of looking forward for the Chinese people,” said Grant Uhlir, practice area leader and principal for Gensler, the US architecture firm whose design was chosen for the building which broke ground in 2008. “It’s been referred to as a strand of DNA. It’s also been referred to a place where the ground connects with the sky,” he said. Although still dwarfed by the reigning champion Burj Khalifa in Dubai, which stands at 828 metres (2,716.5 ft), and with new challengers under construction, the USD 2.4 billion Shanghai Tower can still lay claim to a host of superlatives. Besides being the tallest double-facade building, the world’s fastest elevators travelling 18 metres (59 ft) per second will whisk people up and down while the globe’s second highest hotel will be located on the 84th to 110th floors. 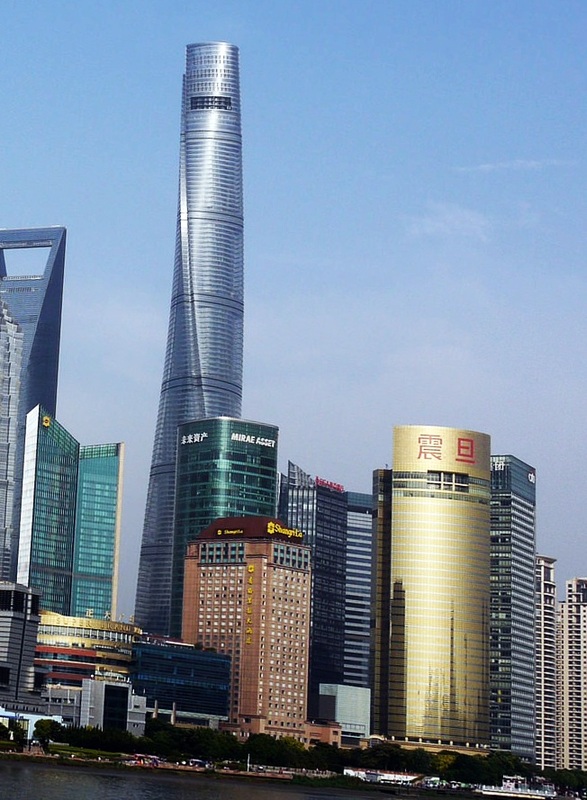 An estimated 16,000 to 18,000 people will pass through the Shanghai Tower every day. The building will sway up to a metre (3.2 ft) in high winds, with a 1,000-tonne “damper” weight near the top reducing the effect.